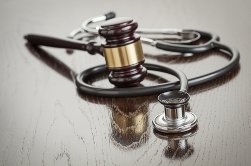 What is a “reasonable standard of care” in medical malpractice cases? According to the Journal of the American Medical Association, over $3 billion was paid out in 2012 in medical malpractice cases, and medical errors and negligence continue to be a top contributor to negative patient outcomes. Medical malpractice occurs when a physician or other healthcare provider is negligent in treating a patient. Malpractice can also occur in cases where treatment was not administered when it should have been. Whether or not a provider acted in a negligent manner is typically based on what is known as the reasonable standard of care. Reasonable standard of care is a legal term, not a medical term. It is used to describe the actions of a healthcare provider. Essentially, it examines whether a provider’s actions were similar to what another provider with the same skills, in the same community, and using the same knowledge would take. Would a competent healthcare professional offer the same level or kind of care under the same circumstances? Were the provider’s actions in line with what other similar providers could and would do under the circumstances? In these cases, the knowledge of expert witnesses helps to determine if a medical malpractice has occurred. In many states, including Illinois and Missouri, plaintiffs are required to file an affidavit of merit along with the complaint. An affidavit of merit is a statement from an expert in the field stating that in his or her opinion, the standard of care was not met. 1.Standard of care does not ensure only positive outcomes. Bad results or complications do not automatically equate to negligence. 2.Not every doctor will use the same treatment plan in the same cases. Even if a physician’s method of treatment is different from what an expert witness may offer, the physician could still be within the reasonable standard of care. Determining reasonable standard of care can be difficult, as every case is unique. If you have questions about whether you or your loved one is a victim of medical malpractice, a skilled attorney can help. Call the Tapella & Eberspacher Law Firm today at 855-522-5291 to discuss your case and determine if you are eligible to make a claim.